March MyBeautyBox | Cosa Mi Metto??? MyBeautyBox turned one year and to celebrate this special occasion, in addition to the fantastic beauty products, it offers us the chance to go for three days in Ischia at a very special price! MyBeautyBox ha compiuto un anno e per festeggiare questa occasione speciale, oltre ai fantastici prodotti di bellezza, ci offre la chance di andare per tre giorni a Ischia ad un prezzo davvero speciale! Get a snap of your bestie! Right now-get a pair of leggings for HALF PRICE..your bestir is gonna love them! One order can only contain 2 pairs. Limited supply. Fabri sembrano ottimi qst prodotti!! Complimenti per il post! Those products look great....waiting for your opinion! Don't miss today my post with my last NEW INs....including an amazing Coral Crochet dress. Mi piace molto il Aloe Vera! un bacio tesoro. Love that they threw in all the little eggs! 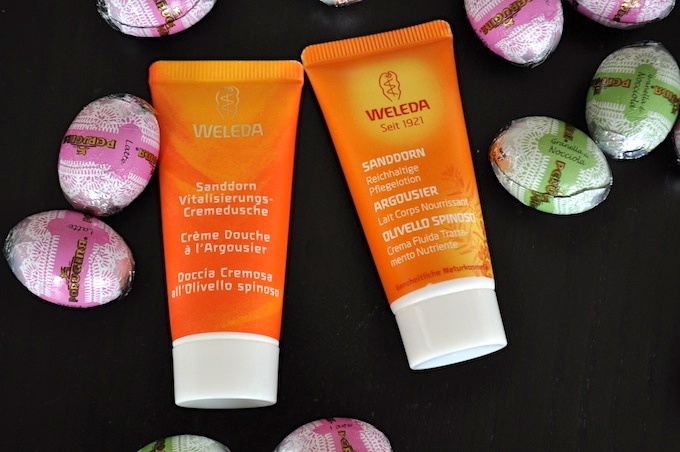 Weleda is an amazing brand and I am so sad they stopped importing it to South Africa. aww so pretty, thr packaging and the way you manage the goods! Sono prodotti molto buoni e che proposta interessante! Bei cosmetici! Voglio andare anche io ad Ischia... speriamo per quest'estate! So many goodies. :) Enjoy them all! 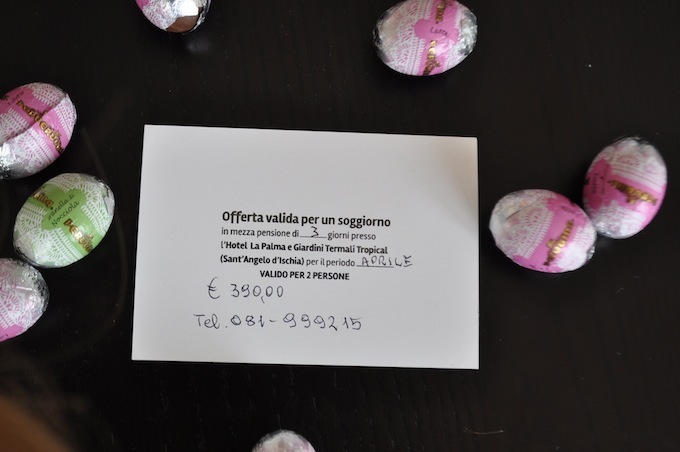 ah ma ci sono le confezioni praticamente da vendita, altro che i tester della glossybox!!! mi vado ad informare! che belli tutti questi prodotti! Ooooh! So many wonderful things in that box! Looks great. Quanti bei prodottini in questa beauty box!! cute pictures with the eggs! i love getting stuff in the mail, especially beauty products! What a great box, jealous! Great product, thanks for the visit ! Looks like you have some wonderful products in the beauty box. Voglio la maschera di fangoooo! !